One of the biggest advances in home theater technology came a ways back when Buttkicker started making devices that would emulate bass through furniture. At first I thought, “how good could it be?” but I’m hear to tell you that the difference is night and day. 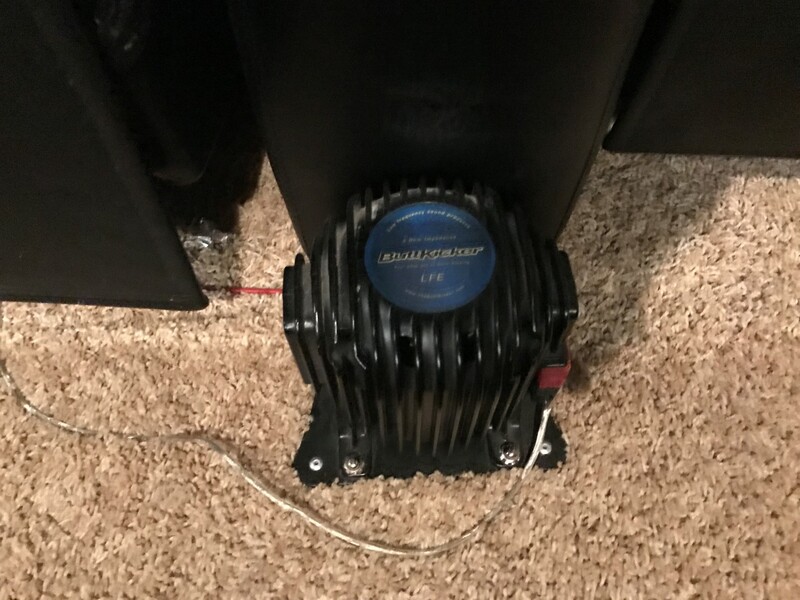 Buttkicker LFE’s are amazing for movies and video games. 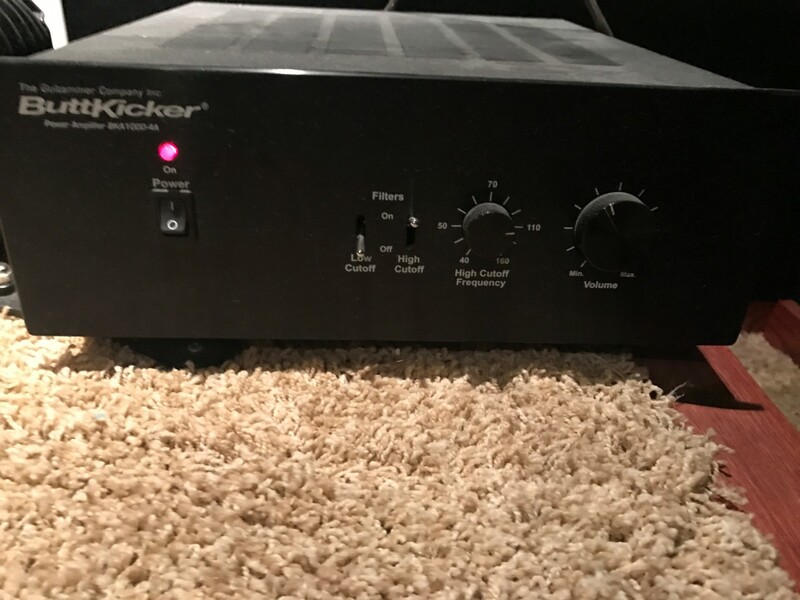 For an amp, some people try and get by with an older receiver but I think it makes a lot more sense to just buy the standard Buttkicker BKA-1000 amp they make. If you use a receiver with the low Ohm values the Buttkicker LFE’s have, you stand a good chance of sending it into protection mode or not getting the full effect you desire. Going with the one you know will work right is worth the money in this situation. In order to drive the amp, you’ll need a signal from your receiver’s bass output for a subwoofer. Depending on your setup, that may or may not be an easy thing to get to your Buttkicker BKA-1000 amp. In mine, it was pretty easy, but if it isn’t they make a wireless kit to help solve that issue. The wireless kit is pretty affordable and can solve that wiring problem for you. Depending on the movie, you may or may not get a ton of effect from the Buttkicker, it totally depends on the bass track your film has. It really shines during intense action films but can even add a lot to your standard comedy. I have mine on all the time regardless of the movie, I wouldn’t want to watch a movie without it. When you combine it with the rest of your parts of a home theater, it makes watching at home better than the theater. This is where I spend the majority of my time in my theater, playing video games. Games like Call of Duty will really work the system to its fullest, it’s actually pretty amazing. The immersion factor is off the charts. I spend most of my time playing Overwatch currently, I’ve gotten really hooked on it again. I used to use them a lot when playing Rocksmith, was fun to jam out when they were on. With the official Buttkicker BKA-1000 amp you don’t have to turn it off and on every time, which is nice. It senses when there is a bass signal and automatically turns on. That makes it super nice to just turn it to a volume and leave it there indefinitely in sleep mode, and when I start playing it will start up again and go. I usually never have to mess with the volume. 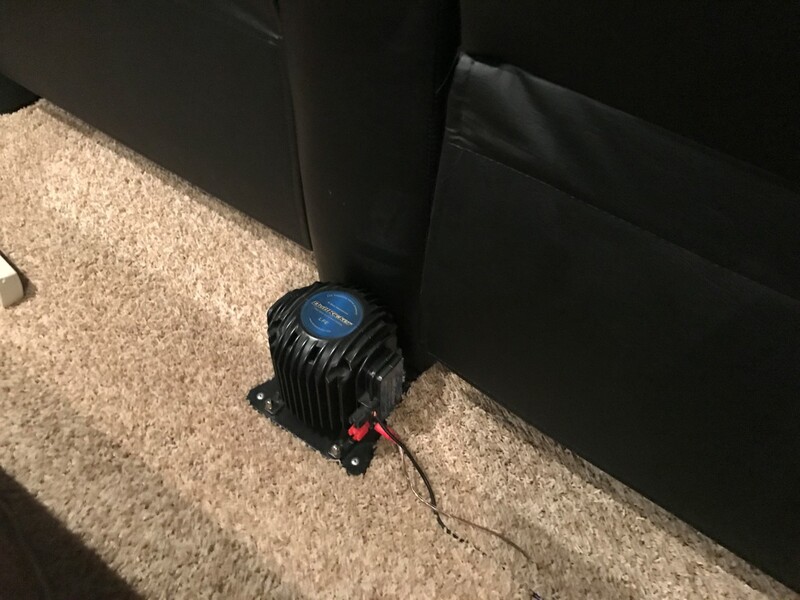 One of the biggest things for me is that I can’t really use my sub when the kids are sleeping, it just shakes the whole house. The Buttkicker system though can totally give me all that bass I want without waking them up, which is a huge win for me. The only time I could see it interfering with their sleep is if they’re in the basement and your theater is above them. Then maybe the shaking from the Buttkickers might vibrate their ceiling some? I don’t know for sure because mine are in the basement. It would also be really useful if you’re living in an apartment complex or somewhere else quiet where using a sub would get you into big trouble. The Buttkickers can totally fix that issues for you. I think some people even combine the Buttkicker LFE with headphones so they get all the tactile bass with zero noise. Next articleShould I buy an expensive TV?